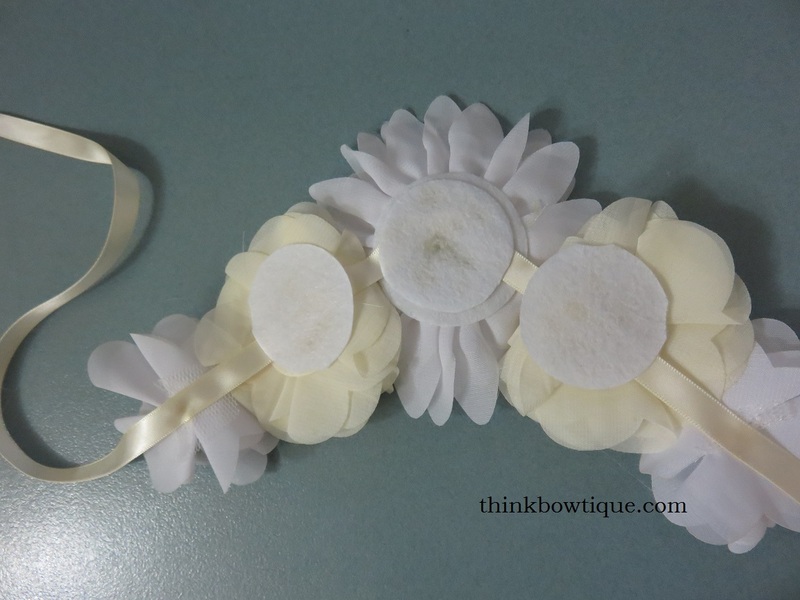 With so many pretty flowers and ribbon I thought I would have a go and make a flower bib necklace. The hardest part is deciding on colours and which flowers to use. Flower bib necklaces are a great way to embellish a top without attaching the embellishments to the top. 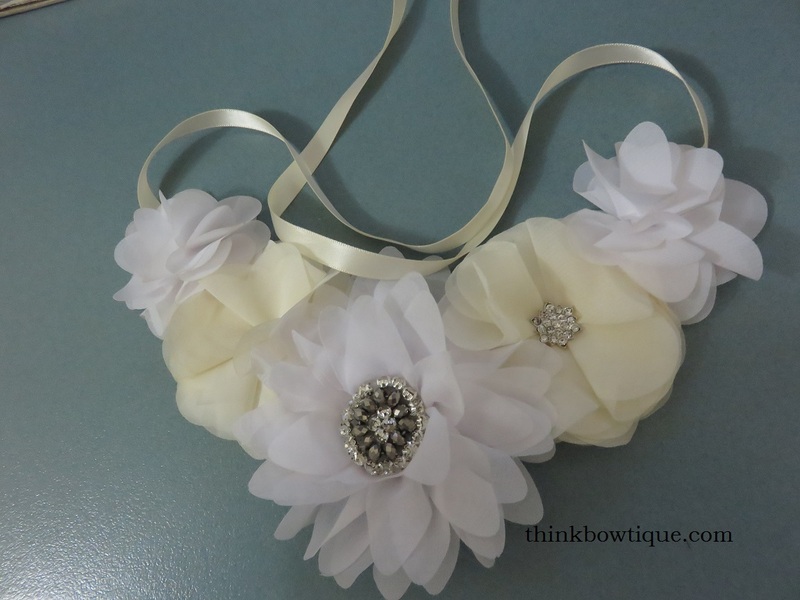 You can wear your flower bib necklace as you would any necklace. Once you have decided on your fabric flowers, lay them out how you want them to sit. 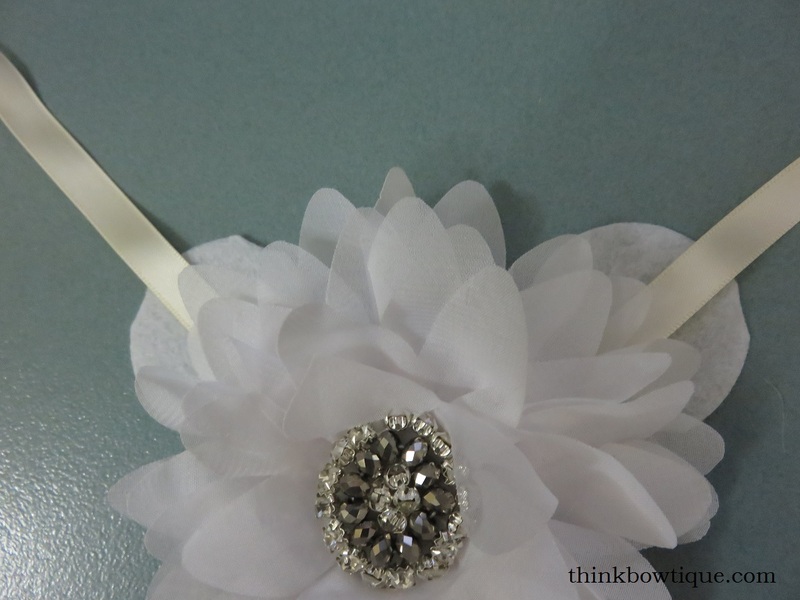 Test out your satin ribbon around your neck and remember you will need extra to tie a bow. Also decide if you want to be able to just lift the flower bib necklace over your head or tie each time. 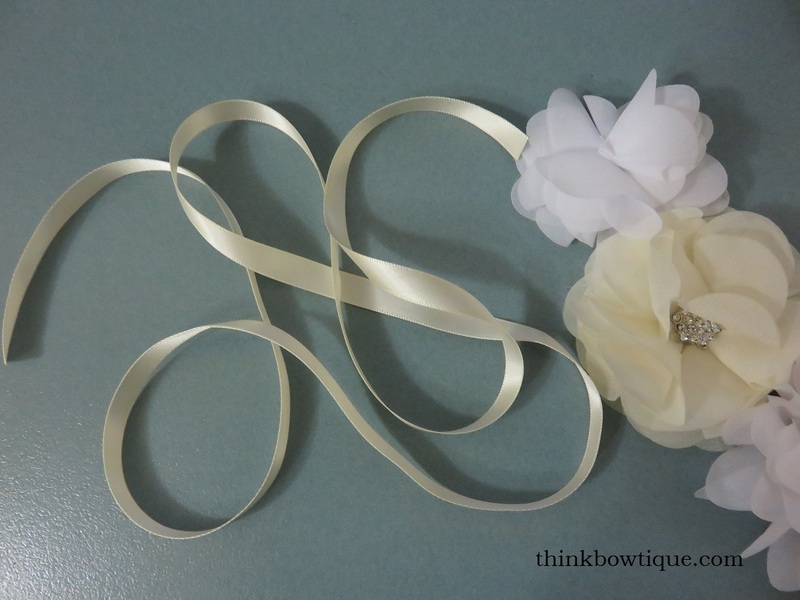 This will help you decide how long you need the satin ribbon. 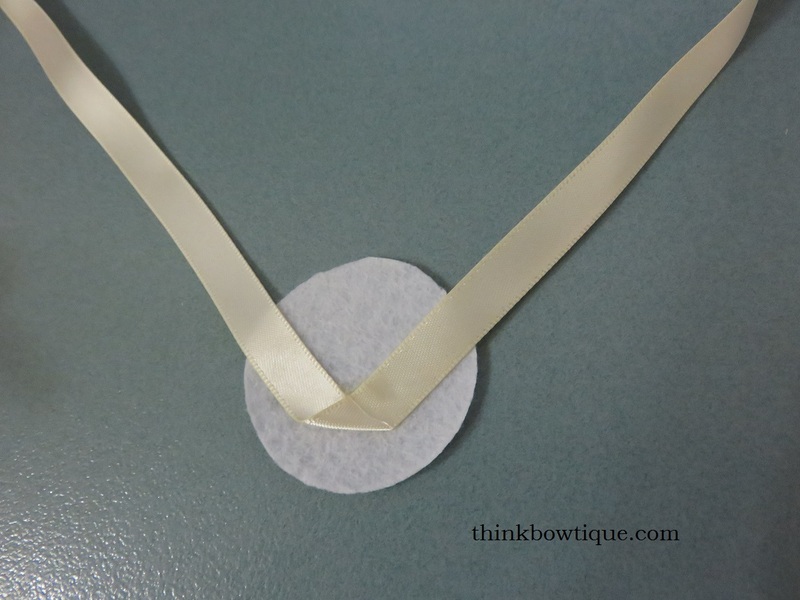 Take your length of satin ribbon and fold it in half to find your centre. Now once you have your centre marked place in over a felt circle and place the satin ribbon on the angle you would like your necklace to sit. Hot glue the satin ribbon in place on your felt circle. 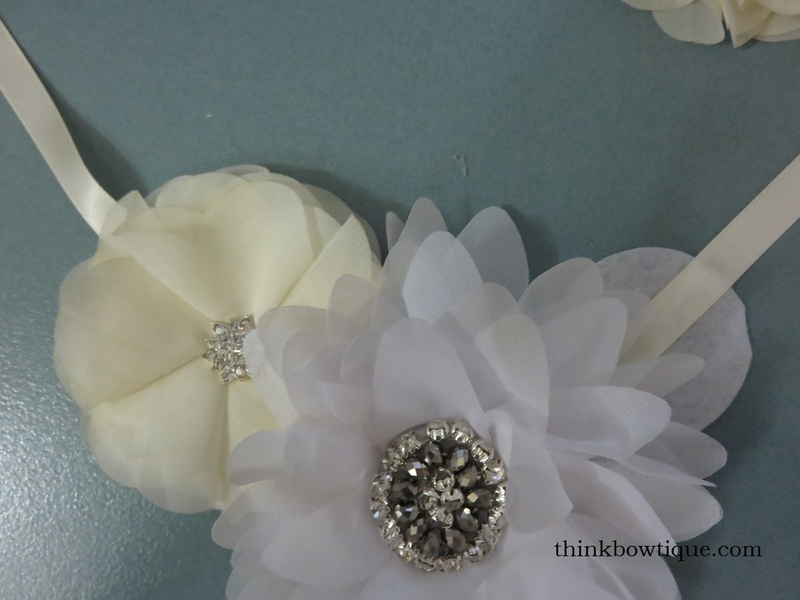 Now hot glue your centre flower to the felt circle. Now I placed each felt circle where I wanted it and then glued to the back of the satin ribbon and then each flower. 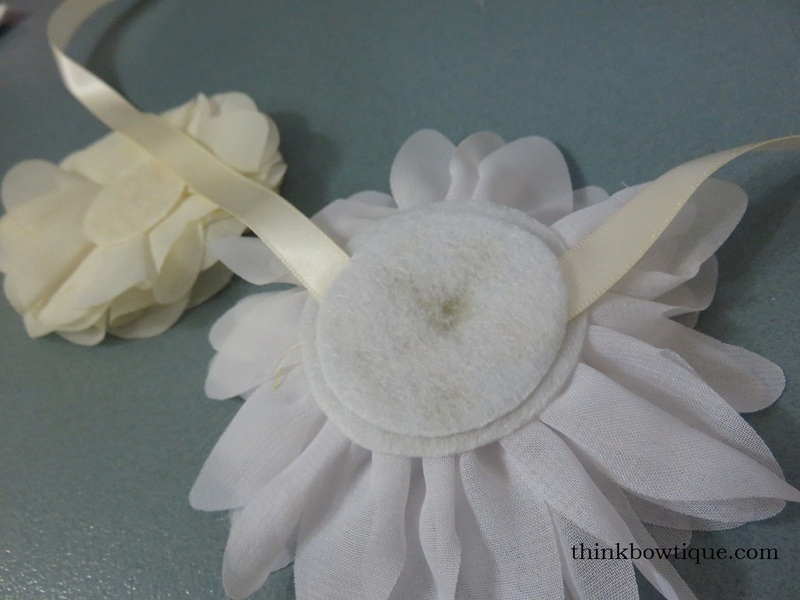 However you may find it easier to glue first 3 felt circles to the back of your satin ribbon and then add your flowers. I glued my last flower a chiffon peony flower straight to the satin ribbon. Once I had my flowers in place. 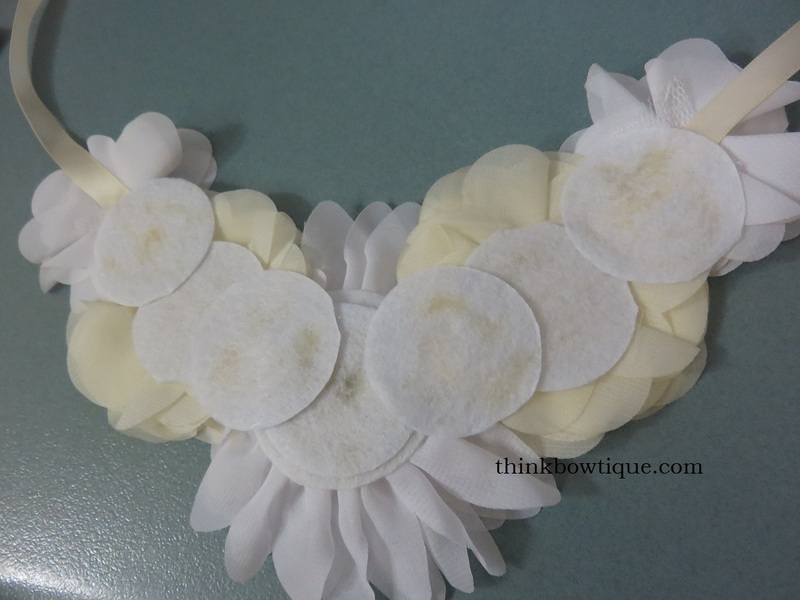 I then took another felt circle and glue it between each felt circle to strengthen the bib necklace. 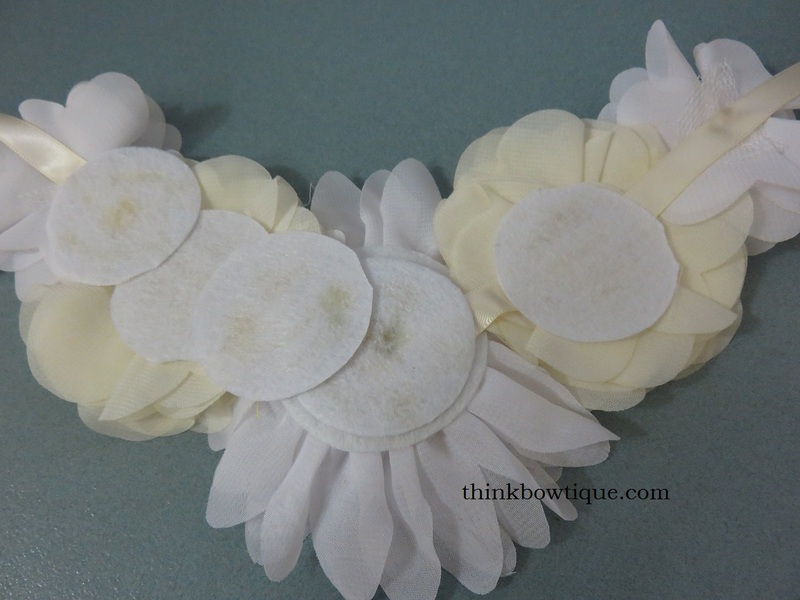 If you decide to glue the felt circles to your stain ribbon first, be careful you don’t go to high with them. 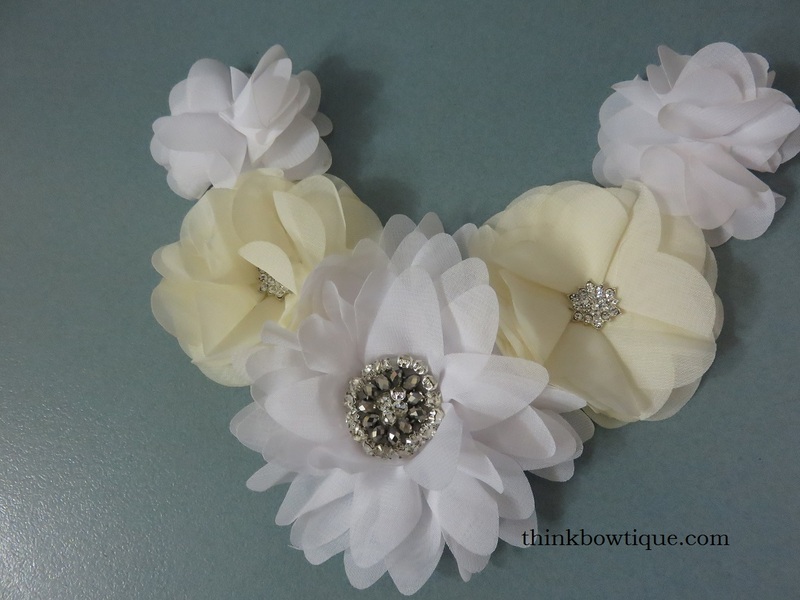 Here is my finished flower bib necklace. You can find these flowers and many more over on the website.